How can I view resources as a slide show? On topic pages the resource section has a button which says how many resources have been added to the page. Click on the Resources button and select Slide Show. 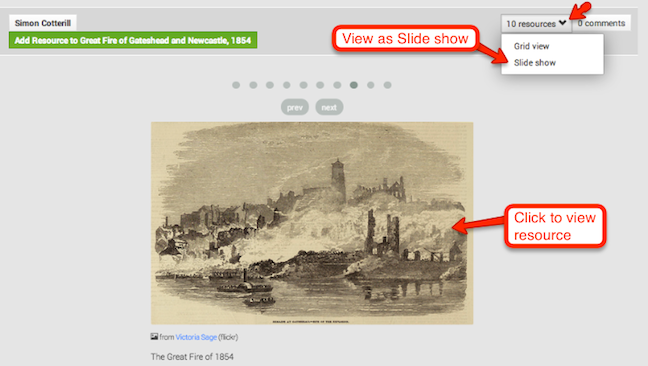 Grid View - is the default view, with all resources displayed.